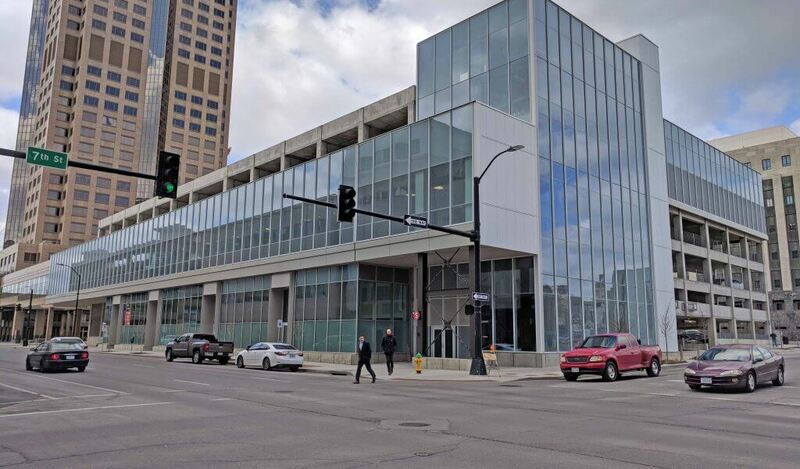 Located in the heart of downtown Des Moines, this 632 vehicle parking ramp primarily serves Principal Financial Group, along with the Ruan Center to the south and the future Miesblock development to the east. This six-story ramp utilizes cast-in-place, post tensioned concrete, for maximum durability. Independent stair towers at the southeast and northwest corners utilize structural steel framing and cast-in-place floor slabs and stairs. 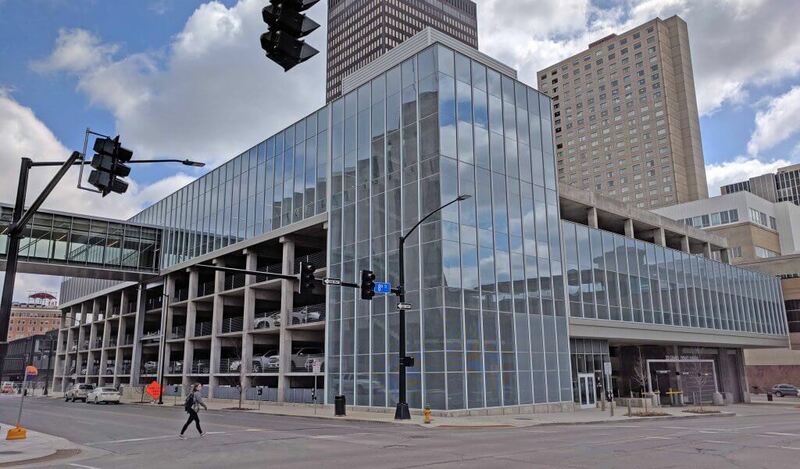 Approximately 4,900 square feet of retail space is integrated within the first level of the ramp. 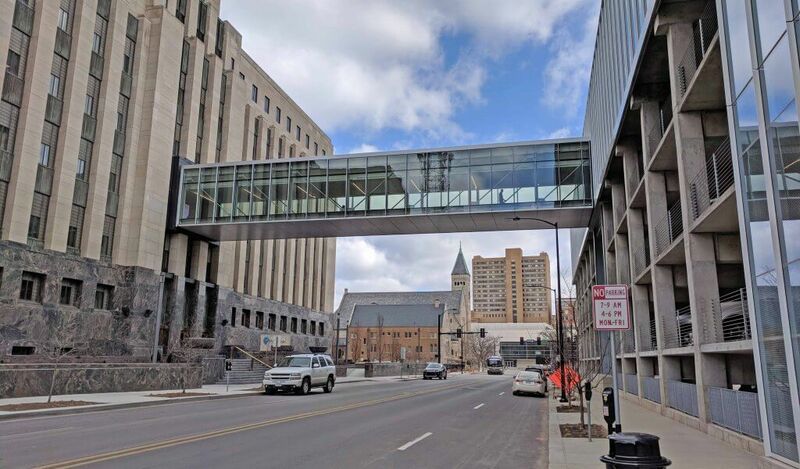 The ramp ties into an existing skywalk at the southwest and new skywalks at the southeast and north. Skywalk corridors supported by cantilevered post-tensioned beams are integrated into the ramp. Lateral loads in the ramp are resisted with concrete frames and shear walls. Lateral loads in the stair towers are resisted with steel X-bracing. Foundations consist of auger cast piles installed to bedrock. 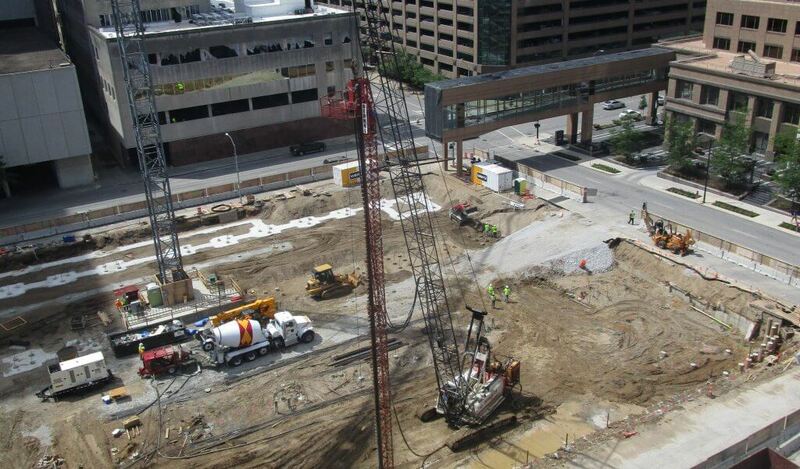 The project site previously contained a parking ramp and YWCA building. The building extended over 45-feet below grade. An extensive tieback system was designed for the existing foundation walls to protect the stability of adjacent streets while new ramp construction took place. New foundation construction was strategically located to minimize conflicts with existing ramp and building deep foundations. Extensive coordination was done to ensure successful tie-in with three separate skywalks.